Rosalinda's Eyes (left) by Phat Puppy Art Studios. Used with permission. A fan video (ab0ve) for "Rosalinda's Eyes" by FrederikGamard01. "Rosalinda's Eyes" is another Latin style tune by Billy which is just gorgeous and heartwarming. The song was never released as a single but was played on the radio frequently in the late 1970s and early 1980s. It's curious as to why this song never became part of Billy's concert set, and is largely ignored today. 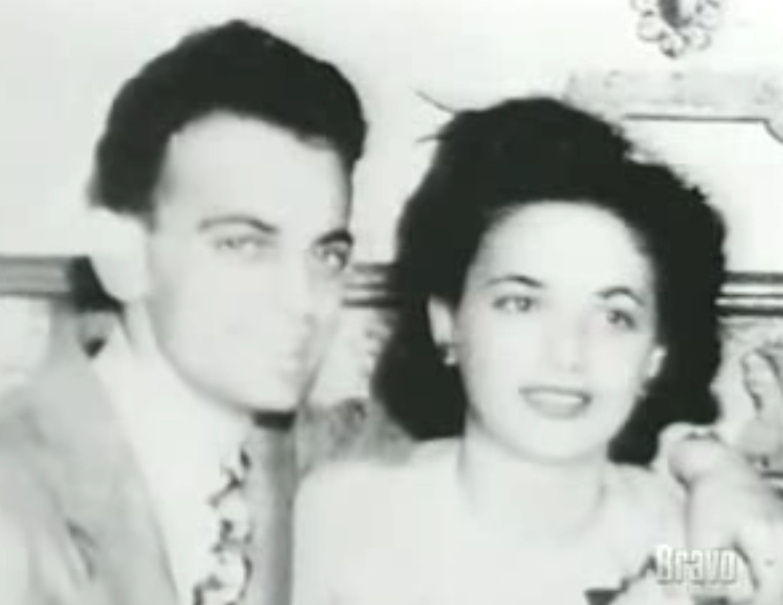 Billy Joel's parents Howard and Rosalind Joel. Photo from Bravo documentary. This is a poignant and beautiful song. Billy sings from the perspective of a working musician who plays for "union wages" in "wedding clothes" and yearns for his native Cuba. Hardly anyone sees how good he is, except for the lovely Rosalinda, through whom he can see Cuba in her eyes. The "Crazy Latin" line may not be politically correct today, but the sentiment of the song is lovely. This has to be one of Billy's most underappreciated songs today. Billy has said that this was the song that his father, Howard (Helmut) Joel, should have written for his mother, Rosalind. Billy's father spent some time in Cuba (after leaving his native Germany to escape the Nazis) before emigrating to America. He met Billy's mother, Rosalind, when both performed in a Gilbert & Sullivan troupe. Howard and Rosalind got married and settled down in New York and then Hicksville, but eventually separated with Howard moving back to Europe. 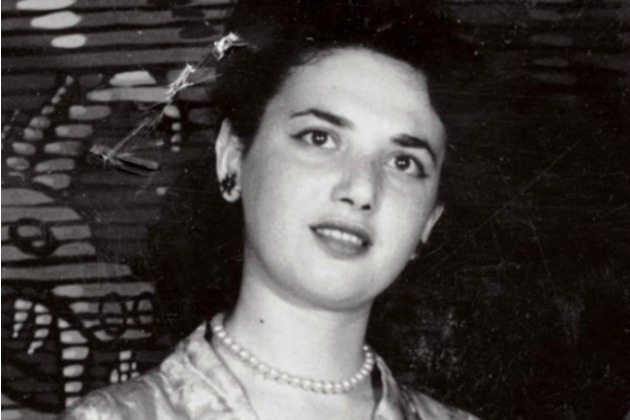 Billy has said that his father was not that communicative or emotive, while his mother was very outgoing and social. It must have been tough for Rosalind to suddenly become a single mother in that era. "Rosalinda's Eyes" was Billy's way of honoring her as she raised Billy and his sister Judy by herself. Apparently Howard maintained a fondness for Cuba, and Billy even traveled there himself for the famous Havana Jam 1979 along with several other US performers. A documentary of that historic music festival is being made. I wonder if Billy played "Rosalinda's Eyes" there. An alternative take of this song, available on 2005's My Lives collection, is definitely worth checking out too. It is more unabashedly "Latin" than the studio version. ​ See below. The Long lsland High School for the Arts hosted a renaming ceremony for the Rosalind Joel Conservatory for Music and Theatre in December 2017 in Syosset, New York. Swan Dive's Bill Demain has a great blog post about Billy and the song. Billy is a class act. The blog post also has a link to a YouTube clip of the show "Freaks and Geeks" which used the song in one episode. Rosalinda's Eyes by Phat Puppy Art Studios. Billy discusses "Rosalinda's Eyes," from SiriusXM. 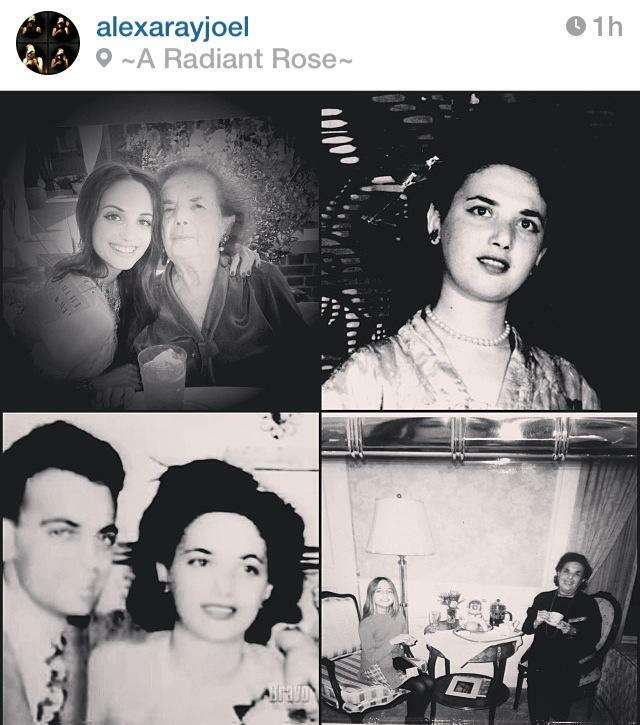 Rosalind Joel photos from Alexa Ray Joel's Instagram account. Live version from 1978, "for all the Latinos in the house" says Billy in Spanish. Thanks to John Brereton for posting. This is a demo or alternative version. It has a more nostalgic feel, and different and "placeholder" lyrics. This is a second demo or alternative version, with a more overtly Latin beat and style.